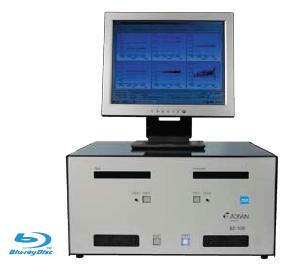 BD100 Single & Dual Layer Tester Quality measurement and Data comparison to ensure high standards of data quality. The installed software enables you to test BDs in a full test or quick test sequence. You can edit and customize this standard setting to choose the desired measurement strategy. It is possible to connect the standard test software to a database. Using internet connectivity all people responsible for the BD production can track the manufacturing process from anywhere at any time.